Studio OmegaTheme pleased December 2010 another masterpiece - template OT Orthodontis. It is very flexible, with plenty of opportunities template that will satisfy Joomla users. Template is designed on a platform Solid Framework and is designed for creation of sites of dentistry and medicine. 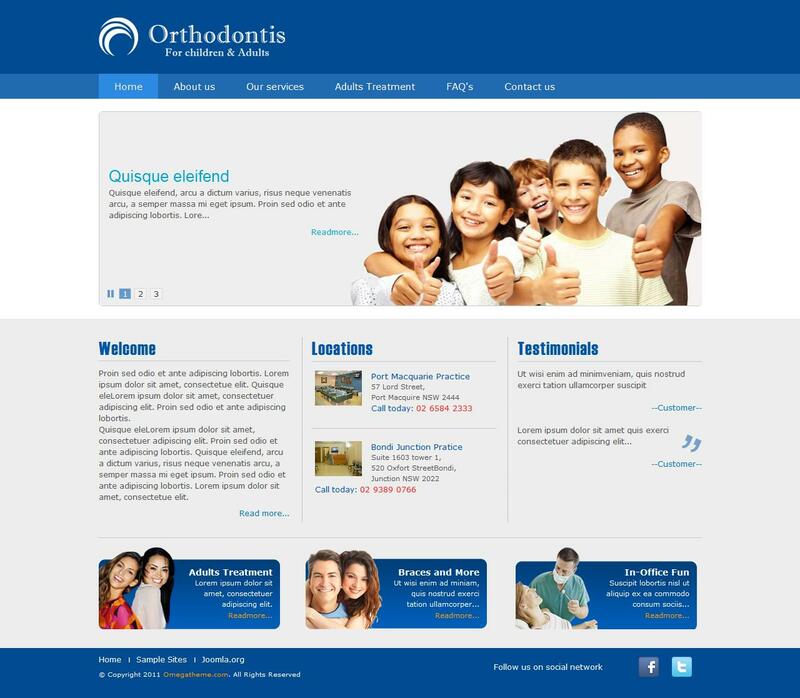 OT Orthodontis has a very fast loading and full compatibility with all browsers and mobile devices, as the template is compatible with CMS Joomla 2.5.